Another gadget review. Had been wanting to do this one since a few days now but wasn't getting any time. I bought it during this special sale a couple of months ago when it was available for $ 49/- only! Battery Life A single charge lasts up to one month with wireless off based upon a half-hour of daily reading time. Keep wireless always on and it lasts for up to three weeks. Battery life will vary based on wireless usage, such as shopping the Kindle Store, web browsing, and downloading content. Charge Time Fully charges in approximately 3 hours via the included USB 2.0 cable. Power adapter sold separately. Documentation Quick Start Guide (included in box) [PDF]; Kindle User's Guide (pre-installed on device) [PDF]. Warranty and Service Kindle is sold with a worldwide limited warranty of one year provided by the manufacturer. Use of Kindle is subject to the terms found here. This is a gorgeous device, made for book-lovers!! I used to earlier read eBooks on my Sony Tablet S, but it used to strain my eyes, so did the Ipad Mini. 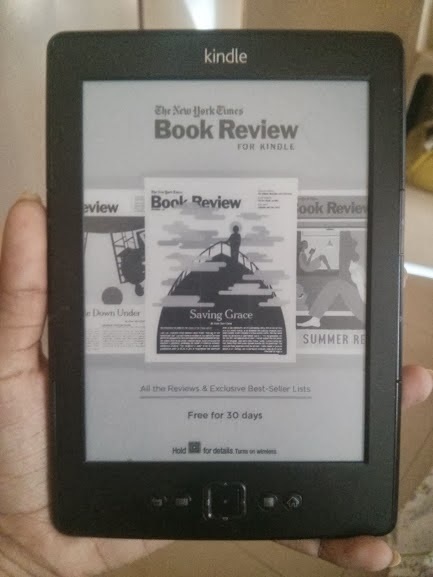 This device is light weight, stores thousands of books in popular formats, and has a battery that beats any tablet! It is very reasonably priced! An average actual paperback costs around Rs. 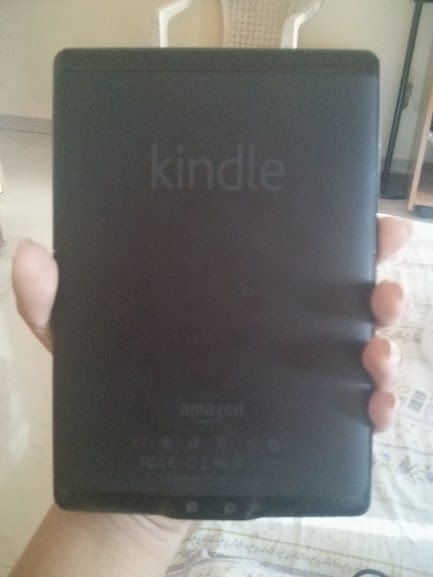 250/- So, the cost of your kindle is covered in around 25 books you've read! I have not experienced any kind of strain on my eyes while reading on this device, even if I go on for a couple of hours. So the E Ink technology really makes you feel like you're reading an actual book! Anti- Reflective, read in sunlight without any problem. Its compact, light weight & durable, fits easily in any bag, it would probably even fit in Men's denim pocket. The battery life is really awesome. Any smartphone or tablet HAS to be charged daily, some even twice a day! You do not want to carry extra bulk of a charger & cable on your vacation do you? This device's battery goes on & on & on! Stores a thousand books! You can either download books using the WiFi or Copy books by connecting the cable to your PC. Stuff like WiFi, Keyboard, Linking your social media accounts like Twitter & Facebook, what else do you want for a device that costs so low?? Unlike other gadgets, you cannot read on this device in the dark unless you have another source of light like a lamp or candle or something. You cannot do anything else on this device like tweet, send FB posts or check emails. Its purely for reading. The material can easily scratch against something sharp & leave marks. I already have a scratch on the screen & body. And I am not getting any reasonable priced cover for it. Who is going to pay Rs. 1000-1500 for a cover? The only flaw is need of external lighting to use the product, apart from that, is a brilliant gadget for every reading enthusiast!